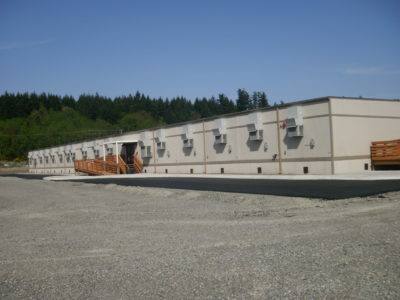 Case Studies Archive | Sustainable Modular Management Inc. 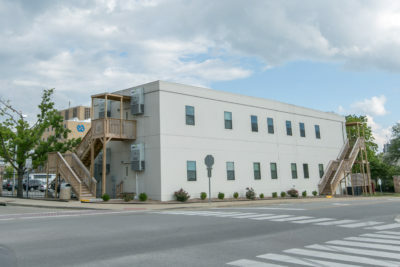 The Naval Facilities Engineering Command (NAVFAC) Mid Atlantic needed a multi-purpose Sensitive Compartmented Information Facility (SCIF) to serve as an administrative office as well as a training facility. The Wake County Public School System needed more classroom space and a lecture hall to accommodate an increase in student population. SMM provided Wake County Public School System with a 5-year lease term to meet their technical and fiscal needs. In the devastating aftermath of the tragic 2011 tornado in Joplin, MO, FEMA and the US Corp of Engineers urgently needed help rebuilding several schools. The tornado hit Joplin in late May 2011 damaging and completely destroying several schools. With the first day of school only a few months away, the community rallied to have functioning facilities for the children in the district by August. 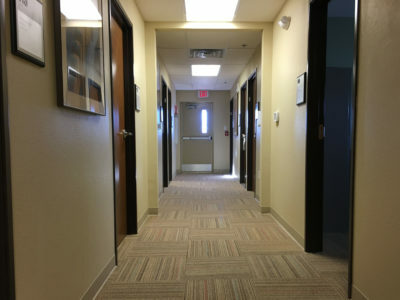 The Fort Lewis-Madigan Army Medical Center was in need of a new Integrated Disability Evaluation System (IDES) facility to be completed quickly. 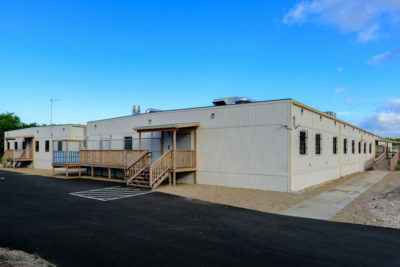 To expedite the process SMM partnered with Fort Lewis-Madigan AMC to design, deliver and install a 30,870-square-foot modular complex comprised of 36 14’ x 62’ modular units. The Tripler Army Medical Center at Honolulu, HI developed plans to repair and renew Building 40 in its entirety in order to provide a complete Forensic Toxicology Drug Testing Laboratory (FTDTL) and Department of Clinical Investigation (DCI) that was compliant with all current codes, regulations, standards and TAMC Design Guidelines. A building at the Norfolk Naval Shipyard was deemed unfit for occupancy due to fire hazards. 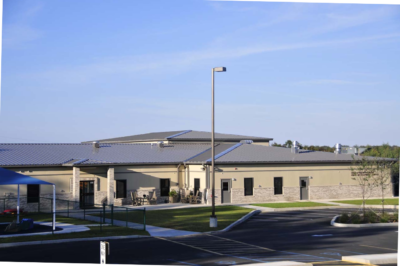 NAVFAC Mid Atlantic needed two buildings to house staff for an undetermined amount of time. The Tobyhanna Army Depot located in Tobyhanna, PA needed a new child development center (CDC) in order to serve the military families and civilian workers’ families working at the army depot. The requirements called for permanent construction and that the project be completed as quickly as possible. Harry S. Truman Veterans Memorial Hospital needed an office building to house hospital personnel. 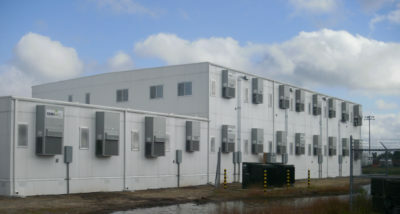 The VMH provided a location for the building, however the building site could only accommodate a unit 30’ wide by 92’ long.